At Custom Plumbing we understand that large plumbing jobs sometimes come at the worst possible time for your budget. 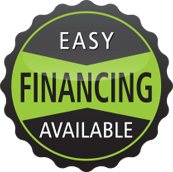 We are happy to work with you and make special financing arrangements. We accept a number of payment methods for every emergency plumbing situation. To learn more about financing call us 24/7! Custom Plumbing provides emergency plumbing services 24/7 throughout the state of Arizona. Our team is ready to respond to your plumbing needs, from the smallest home leak to the largest commercial project. Call us now. Our plumbing experts are ready to take your call!